One of the perks of being an author is getting reader emails. We love to hear from you! About two and a half years ago, I wrote a short story called Peppermint Kisses. You were offered this story if you joined my email list. Thousands of people have read it. Dozens have emailed me asking for more. To be fair, Peppermint Kisses is not really a stand-alone. It’s more of a lengthy epilogue to Wild Mint Tea, the second novel in my Farm Fresh Romance, featuring a couple who met at a Christmas wedding. Because the story takes place over several days, it seemed very implausible to end it with an engagement, known in the industry as HEA* (happily ever after). I ended Peppermint Kisses ended with HFN (happy for now) instead. * Yes, even romance authors ‘get’ that neither engagement or marriage automatically introduces a state of life-long euphoria! But readers weren’t satisfied. They wanted to see Rebekah and Wade find their way into a real, lasting relationship. I’d had no intention of following up, to be honest. The little story was doing its job of turning casual readers into subscribers who wanted that additional glimpse into the world of Green Acres Farm. I was moving on in the series, and, from there, to additional series. I had this bright idea of spinning off to the new Urban Farm Fresh Romance series. Because about seven years had passed by in Story World Time (not to be confused with Book Release Dates!) between Wild Mint Tea (Farm Fresh 2) and Secrets of Sunbeams (Urban Farm Fresh 1), I figured it would make readers happy to see Rebekah and Wade happily married, living in Spokane (the new setting), and expecting their first child. Having them as secondary characters in the new series only fueled additional questions of where they’d been living and what they’d been doing in the intervening years. I had no idea, but I knew one thing: you readers don’t want to read conflict-free romance any more than an author wants to write it. That meant, if I were to pick up Rebekah and Wade’s romance as a full story on its own, there would have had to have been (say that five times fast!) a breakup between Peppermint Kisses and the new story. A few months ago, the fill-in years came to me, and I knew the direction for the new story. And thus, Promise of Peppermint was born. It’s novella-length and acts as a prequel to the Urban Farm Fresh Romance series, taking place about two years before the events in book one, Secrets of Sunbeams. Will fear choke out a second chance at love? When Wade Roper discovers the woman who fled from his proposal four years before now lives in his new neighborhood, he believes God is offering a second chance to win her love. He vows to take it as slow as she needs but, this time, he won’t let her get away. Rebekah Jackson’s fears run deep since a traumatic incident in her youth. If perfect love casts out fear, then what she’d felt for Wade couldn’t have been love. Seeing him again brings all her longings and fears back to the surface. Can she put her trust in him and in the God who loves them both? Because, while second chances are rare, third chances are all but unheard of. 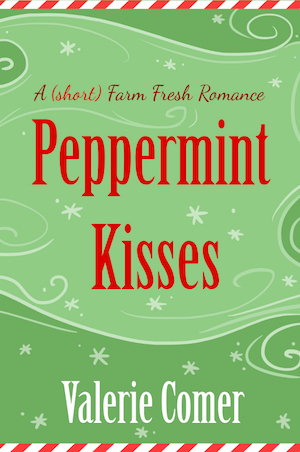 Want to read the story that leads up to Promise of Peppermint? Join my email list here if you prefer to read on Kindle. If you prefer to read via iBooks, Kobo, Nook, or Google Play, join my email list here. Dropping your email address into either link will have Peppermint Kisses available to you, free, in just a few minutes. You’ll hear from me about twice a month. Through 2017, I’m focusing every second email on the newest Arcadia Valley Romance release, while the ones between will focus on what is going on in my single-author series: the Urban Farm Fresh Romance series, the Christmas in Montana Romance series, the Riverbend Romance novella series and anything else I might come up with! You’ll be the first to see pre-orders, sales, contests, and other opportunities. 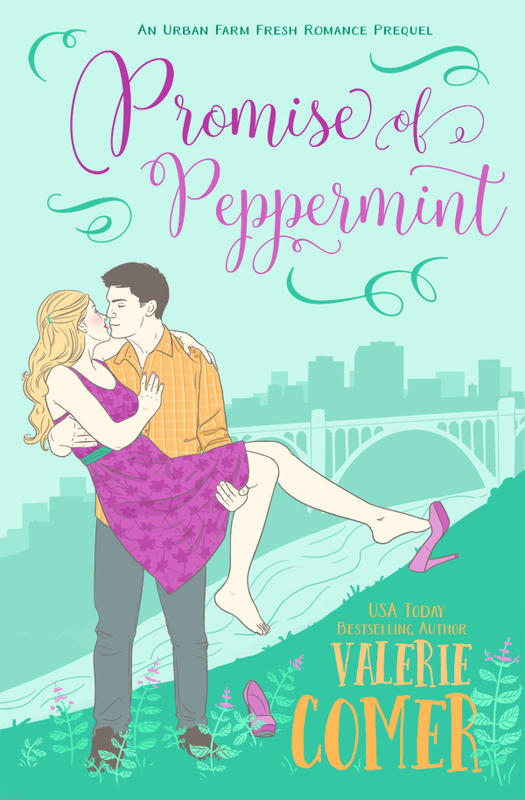 And, in just a week or so, you’ll be the first to know when Promise of Peppermint is up for pre-order! Why do you join authors’ email lists? What makes you want to read each email? Or… what makes you unsubscribe after a while? Let’s talk! PS, still like that moose photo from Sunday!! I hope Peppermint Kisses whets your appetite for Promise of Peppermint!. Sounds like you’re one who likes a longer, chattier author email! And yeah, the moose was pretty cool! Hi Valerie! Thanks for introducing Alexa Verde. I sign up for author’s emails to receive free books, for contests & giveaways, to get to know an author better, to find out about promotions and new releases! If I am on the authors review team, I read those emails. If it is a series I am interested in, I read those emails. Emails gives me the reader another way to interact with the author. I unsubscribe from emails if I only joined for a promotion or if I receive too many emails. I enjoy your informative emails and two a month is a good number. Looking forward to reading today’s comments. Thanks, Renate! It felt daring to go from a monthly email to semi-monthly, but your comment gives me hope. The moose do love sleeping in our monarda, under the deck & car port. They do not control well. I’m excited to read this new story. I really enjoyed Pepermint Kisses. Thank you for indulging us readers (While I wasn’t one of those who emailed you, I do appreciate). I only join email lists from authors whose work I appreciate and I like to read the emails for the same reason I like reading this blog: to hear about new books, and authors’ thoughts and process. I appreciate a free book and giveaways just like most people, but if the giveaway makes me sign up for authors’ newsletters, that’s when I unsubscribe. I’m picky to which newsletters I read. Great answer, Priscila — not that there’s a right and wrong answer. Sounds like you’re open to a slightly longer email that helps you get to know the author better? I hope you enjoy Promise of Peppermint! Coming soon, I promise. I definitely don’t mind long emails. I have a folder for archiving author’s newsletters in my e-mail and tend to read them when I have time (I usually check it once a week). I do the same with academic societies I’m part of. They tend to send even longer emails and a lot more often. (I also only subscribe to 4 society’s newsletters so I’m picky there too.) This system works pretty well to keep my email organized and not distracting me from every day work. This sounds like a great story! Will have to watch for it. I join author’s email lists to learn more about them and what they are working and what’s coming up. I don’t like the rafflecopter thingy where you have to follow this person and that person and sign up for this and sign up for that and post this and post that. I’m sure there is a reason for it, but it’s too much. I agree on the Rafflecopter, actually. Especially if there are ten ways to enter. I look at it and go, ‘good luck to someone with more time than I have!’ and carry on. I join thenemail list to find out when there’s a new release, contest, freebooks, etc. but most importantly to find out about new projects. Hmm, I think you’re saying the best thing is seeing further into the future as to what the author is working on that hasn’t been publicly announced? That’s a good tip for me as an author for sure. I enjoyed hearing the story behind your stories. I join emails lists so I know when their next book is releasing. That’s why I do, too. I don’t want to miss a book by my favorite authors, and I know Amazon doesn’t ALWAYS send out that new release email. I subscribe so I don’t miss new releases, and to find out what an author it working on, as well as giveaways that may be planned, or online parties. Yes! There’s an entire package of information (fun information, I hope!) in a well-written newsletter! I subscribe to an author’s email list because I want to hear what’s happening with them and what might be coming out next. (These usually are authors I have already gotten to know through their books and Facebook.) I also must be honest and say there have been a few times I do it to get a new book and when there’s a contest. I unsubscribe when I get emails from authors who have portrayed themselves as Christian and yet their books actually don’t represent that. Also I get frustrated when an author starts to send too many emails in a day. I have lots of emails and sometimes it’s just too daunting to read them all. I agree it is always best to be honest about who we are and what our books represent. Wow, you found an author who sent multiple emails a day? That’s crazy. And here I thought twice a month might be too much! I’m with Sally….don’t like the Rafflecopter thingy! I do join authors’ e mail lists. Rafflecopters have their place, I guess, but I’m not fond of them myself! I join email lists to learn about book news, upcoming releases, author info, etc. I usually sign up originally because of giveaways or contests but try not to do that too often unless I actually really want to follow the author (otherwise I have a zillion e-mails for authors that I don’t remember what they wrote). I really enjoy the newsletters for the few authors that I read everything they write (like you) because I enjoy seeing the person behind the stories. If their fiction is interesting, they are probably also interesting people in real life and it’s fun to see what they spend their time doing and what they enjoy studying. For instance, I really enjoyed your blog post (I think it was a blog post…) about the person with the urban farm on her balcony who made cricket flour…..Cricket flour is so far out of my league and it was really fun to read about. Thanks so much, Katy! I agree that interesting books are written by interesting people. I’m glad you find me interesting! And about the cricket flour – that was on my own blog a while back… and I don’t expect to ever try cricket flour. But I guess it’s good to know it’s doable should the need arise??? After reading everyone’s posts above, I can say “ditto”! I like to get to know my favorite authors, find out when their next book is coming, and when there are sales or giveaways. I don’t mind the rafflecopter giveaways, but don’t think I’ve ever won anything through one of those. The ones I do NOT like are “post a comment here and then come back to this blog next Sat.” I never could find any reference the next Sat. as to who won! I really like InspyRomance because they post winners on Sundays and you can always find out who won! (And I’ve won several times!) Anyway, you do a greal job on your newsletters/blogs Valerie! Thanks, Margaret! Even though we (Inspy Romance) have started contacting winners directly, we still post the names on Sundays so everyone can see we ARE giving away the books (etc) that we say we are. It’s an accountability factor for us! And one time I had somehow missed the direct email, so I was VERY thankful for the Sunday note that I’d won! Amanda, the HEA ending is hard to pull off realistically in a novella for that reason. I often allude to the passage of several months between the second-last chapter and the last chapter for that reason. I won’t tell you ahead of time which way this novella plays out, because they DID know each other very well a few years ago! It beats leaving them yawning, that’s for sure! I join email lists for authors I enjoy to get news as to their upcoming books and other news. I prefer not to get more than one per week unless there is something special going on. I have a few that I had to unsubscribe from because I was getting way too many emails. I just don’t have time to read and comprehend that many. I think a couple of times a month is usually good. Much more than that is overkill. Thanks, Winnie! I’m glad 2x a month is a great number for you. I love all your stories…and you too….so I enjoy the emails I get from you always. Keep it up, chickie! A free story is what motivates me to sign up for an email list. After I’m on a list, I rarely unsubscribe. Interesting, Jessica! I agree. though. Once I’m on a list, the sender has to be super annoying before I’ll remove myself. 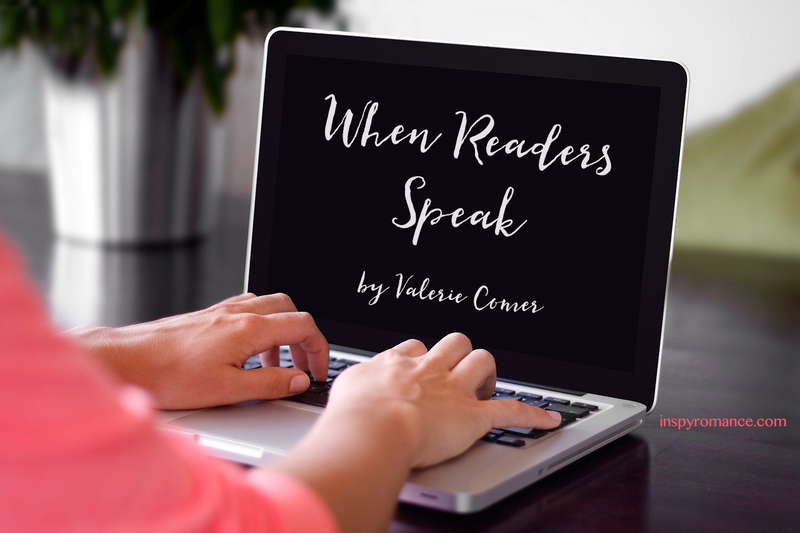 Hi,Valerie.Nice blog post by one of my favorite authors. You know I have read very book,I think. I love newsletters because of new releases,giveaways and just news.